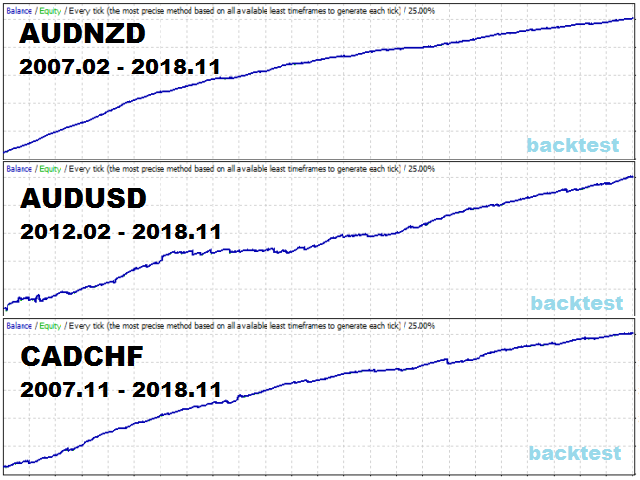 The robot is designed for automatic night trading. 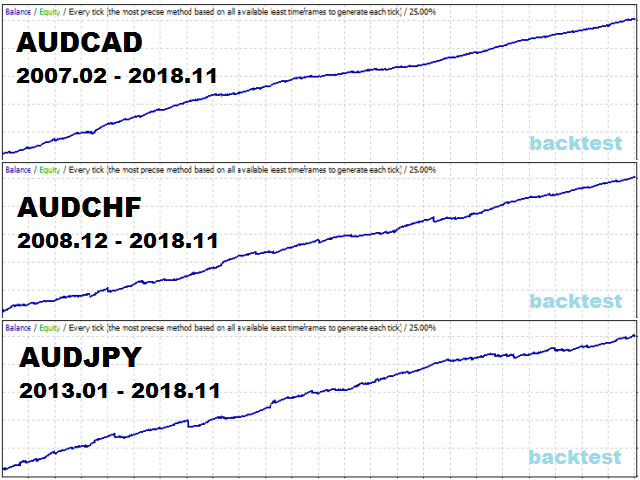 The strategy is suitable for many currency pairs. You can trade several pairs at the same time. The EA opens trades from 21:00 to 1:00 by EET time (GMT + 3 in summer, + 2 in winter). 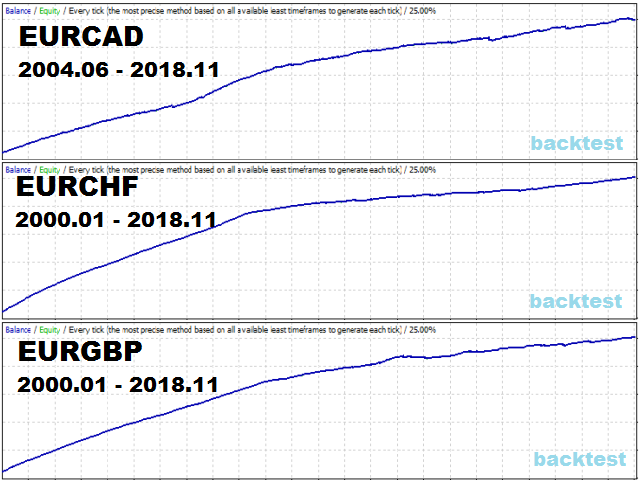 GMT time of the broker is determined automatically, or you can configure it manually (required in the tester). A special price channel indicator is used for the entry and exit signals. At the bottom of the channel there is a BUY signal, at the top for SELL. Depending on the number of signals, a lot of trades can be opened at the same time. 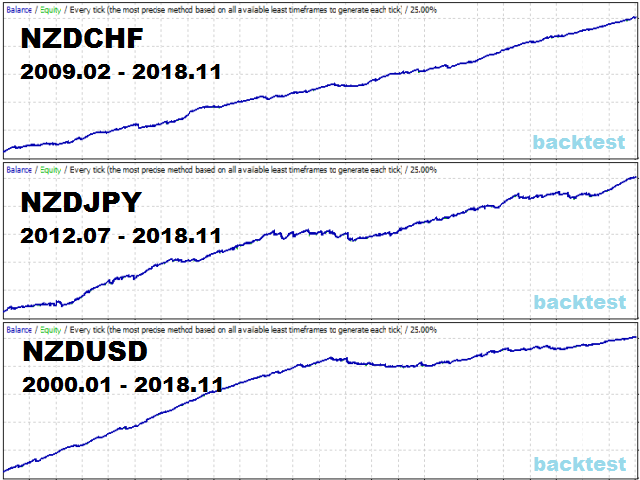 Positions are usually closed within a few hours by a virtual dynamic take profit or at the reverse indicator signal. 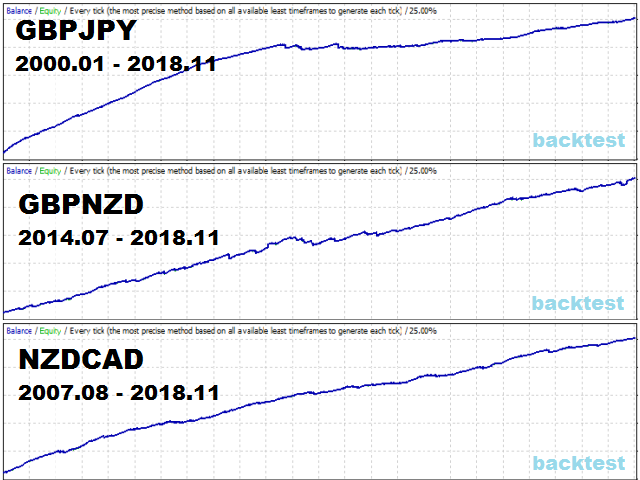 It is possible to additionally configure the total virtual stop loss (StopLoss_All_Pips) and take profit (TakeProfit_All_Pips) in pips for all trades of the traded pair. 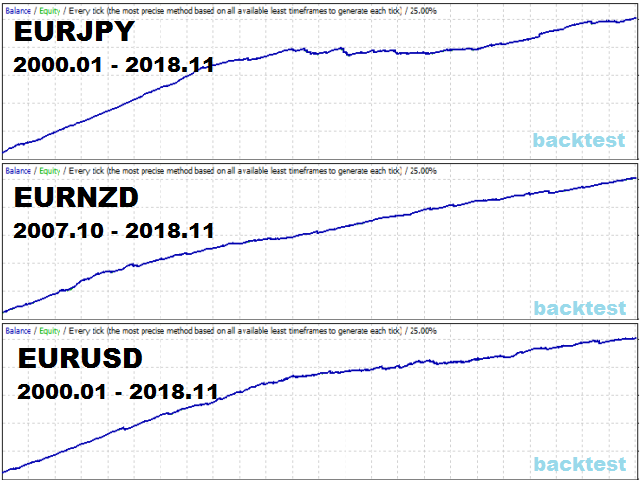 The robot tracks the opening price of each trade to account for slippage and spread, the Max_Spread_Buy and Max_Spread_Sell_Close settings are also used to protect against spread expansion. 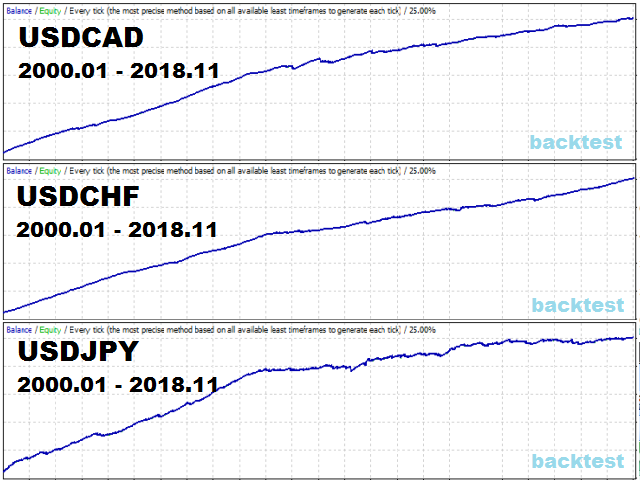 Recommended currency pairs with spread + commission no more than 30 pips. 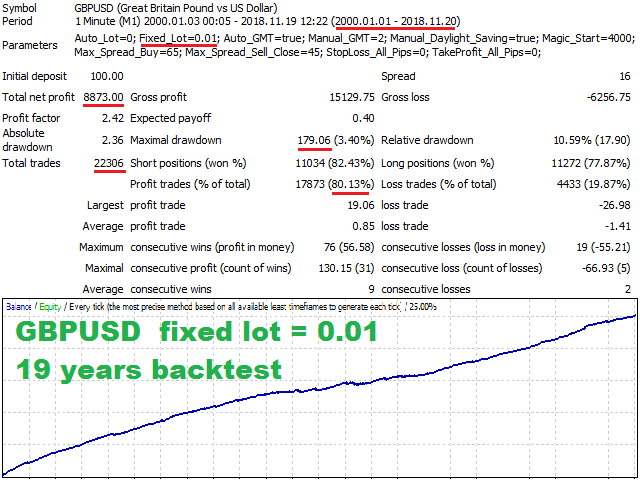 To trade attach the robot to the desired pair on the M1 timeframe and select the desired risk (Auto_Lot) for this pair. 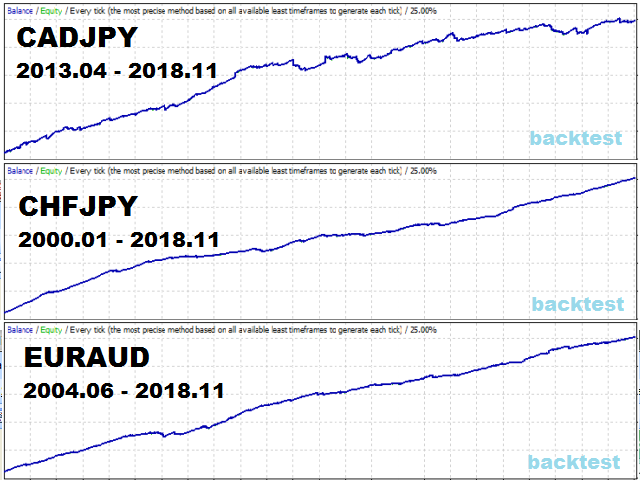 The robot does not conflict with other advisors and monitors only its trades (by magic number and pair), it can work on 5 and 4 digit quotes, on accounts with and without the commission, the martingale is not used. 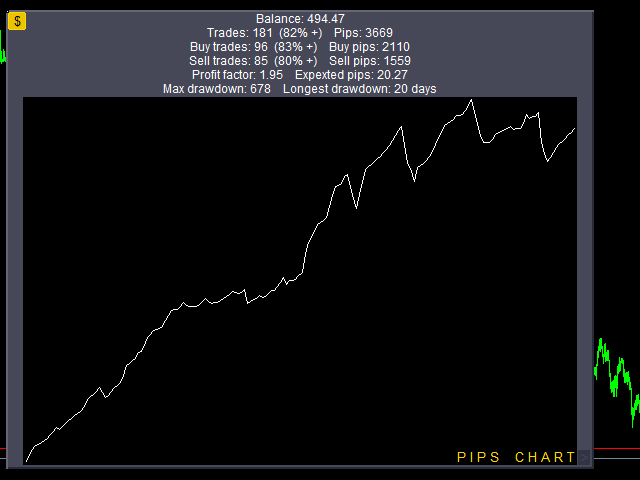 There is a panel with a balance chart and trades statistics in the deposit currency and pips for the traded pair. By default, the panel is collapsed to open or close the panel, click on the "$" button, move this button to move the panel. To change the size of the panel, move the ">" button, to reset it to the initial size, click on it. 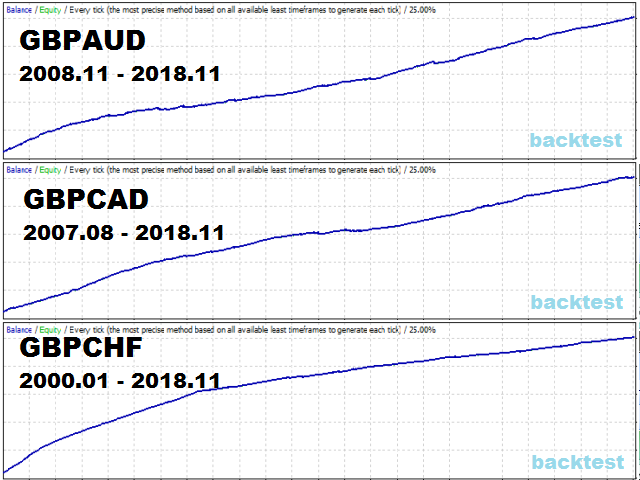 To switch statistics and balance charts to profit mode or pips, just click on the chart. The time period for statistics can be selected in the "Account History" tab.